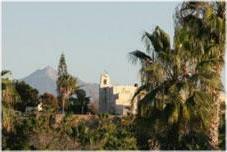 We are a natural paradise where desert meets the Sierra Laguna mountain range. The Southern Baja peninsula hosts several unique eco-systems that are special to us. In December we watch all the Whales migrate through our coastline. 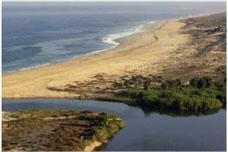 Todos Santos (All Saints) is on the Pacific coast about 45 miles north of Cabo San Lucas. 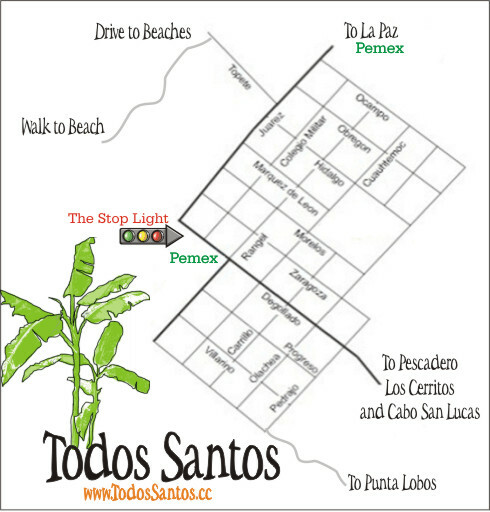 As you enter by car, Todos Santos will delight in this Oasis of palms & fruit trees producing delicious mangos, papayas, avocados & more. 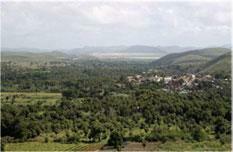 The fields of agriculture and our quaint (growing) village sides-up to miles of pristine, un-spoiled beaches. We attract beach aficionados, bird-watchers, hikers, wild-life enthusiasts, kayakers, surfers, snorkelers, scuba-divers, fishermen… O’ the list goes on! So much is changing these days, new roads and restorations to many of the older buildings…. We’ll be updating this information page quite a bit in this coming year… so stay in touch! Watch for Whales! Birds … just to name the obvious! Orioles (Scott’s and hooded) House Finches, Western tanagers, northern Mockingbirds, Cactus Wrens, black-chinned, Costa’s, and Xantu’s hummingbirds, Wilson’s warblers (and of course, Turkey Vultures.) Varieties of Doves and Warblers, Sparrows and Finches… Vermilion flycatcher, the white-faced Ibis and Cassin’s kingbird. Flycatchers, Gila Woodpeckers, gilded flickers, Verdins, and Mockingbirds, or a lone Kestral or Hawk. western grebes, Great and Snowy-white Egrets, little Blue Herons, great Blue Herons, and black-necked Stilts…. and of course, Frigatebirds, Osprey & Brown Pelicans…. More on Birds. Health … Our Centro De Salud, a local hospital and the Red Cross are equipped to take basic care of emergencies and has an ambulance to take patients to the primary care hospital in La Paz or Cabo San Lucas. Visitors can be assured that basic good health care services are available. Both cities have modern medical, dental and eye-care facilities. There is a dentist and a local Doctor in town. Holistic Health Practioners are also available. People who Care There are many causes deserving support in this town which are are already well supported by the community however if you feel you can offer support to our local schools or hospitals please ask around or speak to any of the real estate offices, as they will know how best to direct you to our non-profit organizations. We will be adding more listings to our Bookmark Page as updated-information is received. Banks … Two in town with ATMs, Banorte & Bancomer. There is also an ATM located in the Hotel California Restaurant. Beaches … Please read about undertows at swimming beaches (Los Cerritos and Palm Beach) See our Beach Page. 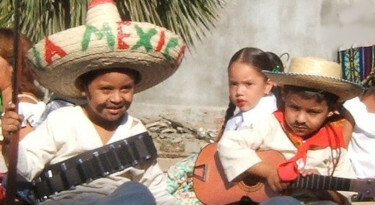 Music & Nightlife Dancing and live music can be found in Todos Santos and Pescadero. There are music venues and the occasional special event or Festival. 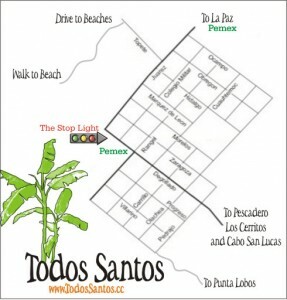 Welcome to Todos Santos, to everyone visiting and to people wishing to settle in our beautiful and unique Mexican town. We hope that you will enjoy our peaceful relaxed way-of-life that we have enjoyed for many years. We ask that you respect the laws and customs of the area; particularly respect our speed limits as many of our children use the roads as playgrounds. Have you seen the baby sea turtles released? If not, watch this video!